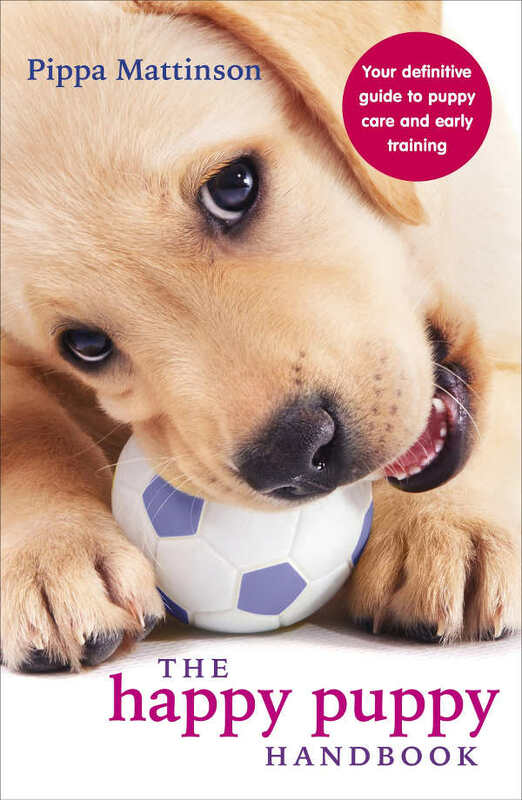 DON’T MISS: Our great new guide to the stages in puppy development, complete with week by week guide to development and growth charts. Caring for your puppy is an important responsibility, but it is also one that can be lots of fun. You just have to make sure that you have all the information and tools that you need. From daily routine tasks to significant life events, your life will be easier if you are prepared and confident in managing them. Below are some articles which will help you to do your best when looking after your puppy. Stop your puppy eating poo! 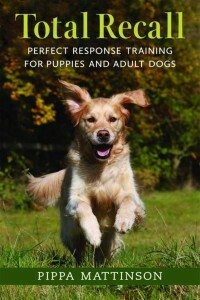 Check back soon for more helpful puppy care articles. I just finished posting replies to a comment. But really came to this page, hoping to find out how to care for my PUPPIES nails. I have had dogs & cats before but always afraid to cut them myself. I finally got the courage to buy a nail trimmer & began trimming their nails one afternoon last week, when I realized they all were incredibally pooped from playing all morning & part of the afternoon. So I began with the most passive/obedient one, the eldest. As she was lying, eyes began to shut I sat beside her on the floor & began to clip. Being VERY CAREFUL NOT TO GET THE “QUICK”. My nail trimmer came with a rotary file. But it doesn’t work. With that aside. I want to know exactly how to cut their nails. What angle or straight. I didn’t get a retracting nail trimmer/clipper. And how do you file, is there a RIGHT WAY & a WRONG WAY? I WILL DO MORE RESEARCH ON THE WEB, HOPING SOMEONE WILL REPLY TO MY QUESTION. I would like to add. Once I had trimmed my eldest Amariah’s nails. I decided to do all their nails. I put them in their crates & then went on with the 2nd eldest Moses by getting him to lay down. And then I gave him a high value cubed weiners & cubed cheese (very small)…& roll over cubed. I was able to literally slide him on his side…cuz he loves to get tummy rubs, so it was easy… and began clipping. I had to at times, re-position him myself, giving him a treat for allowing me, letting him know what a GOOD BOY he is. Then when the 3rd eldest, Sarai’s turn came. She was even funnier. Cuz she lay down, allowing me. And allowed me to roll her over. It was kind of comical & funny. But only as long as I gave her treats. Her and her sister being younger & had not spent as much time training. I only did the Front Paws. 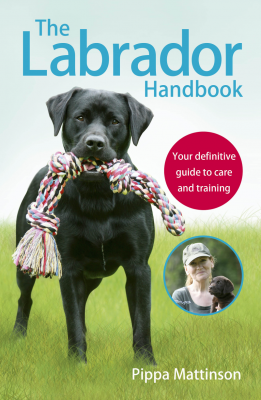 Thought this would help others whom have thought of doing it themselves, rather than having a groomer or vet do it. It is way Cheaper & it actually was Fun! They learned to trust me as they watched the others getting it done before them, while in the safety of their crates. Have read the section in the handbook about training your puppy to be quiet in the crate by using an event marker when he is quiet for 3 seconds after you leave the room and shut the door. My 8 week old lab puppy will be quiet for the 3 seconds but as soon as I open the door to use the event marker, he starts howling. Do I have to leave the room and shut the door? My puppies are a Cavishon at approx 5.5 months old who is timid due to being mistreat. I also have a puppy 9 weeks old lapsu apsu and bigon frise crossed. They are both white. I have difficulty keeping their eyes clean could you suggest how to do thid and what with, also how often. I dont want to stress them with this,. It is also a problem getting them to eat properly. They have had complete food , so I am continiung with this , although I am giving them their usual brand , they wont eat it. What do you suggest. Chris Chapman I have 4 puppies. They are not timid. But were when I got them. They all had different fears, well, except Sarai. Patience. Do not overbaby them. What I mean is… in order for them to gain confidence sake. Treats work. My puppy had a leaky eye, infection. It got green. My puppy Moses. It wasn’t major. But I was told a warm wet cloth & wipe from the eye downward. But he didn’t like it. So upon taking to obedience training. Getting him to sit & stay. I then would call him to me on the couch in the morning & get him to sit. And talk to him. And tell him he’s a GOOD BOY. He knows that CUE to be he I am pleased with him. He LOVES IT. So I ask him if he’s a GOOD BOY & GIVE HIM A HIGH VALUE TREAT AS I PUT MY HANDS ON HIS FACE OR EARS, WHILE HE IS SITTING AT MY FEET. I CONTINUALLY GIVE, AS I GET A TISSUE & WIPE. But he wasn’t timid like yours. So it only took me one or two treats. Yet I am sure that if you give them high value treats, separately. Keep one in another room if you can, when you do this at first. Like small cubed weiners or cheese. You won’t have to do this long, if you keep at it at first. My puppies were not afraid of me from the beginning. Well, not totally. I was told very early by my VET to touch their paws, ears, mouth, when I feed them their kibble. So I did. I’d talk to them, telling them they were Good Puppies as they ate. I’d stroke their ears, paws & even put pressure on their paws to make their claws come out (not hard, but so that when it came time to clipping them, they would be okay & it paid off)… and I even would stroke their tails when they ate. So, in the event that small children are around them, they are not aggressive, but passive & don’t mind it. If you have not begun this, or have other issues why you cannot. Leave a reply & I will try & answer. I even found out that it is good to get your puppies to sit & wait before feeding. And even to crate them while feeding. I do this & they eat without wanting to eat the others. My one Rotti mix would growl at the others & take their food. I did not like, so I found out that getting them to go in their crates first. I say, Okay, time to eat. into your bed’s. They go into their crates & they have to sit first. I will say sit, (lying down is fine to, as my eldest shepherd husky cross is extremely laid back & obedient in most of what I trained how to behave)…. believe it or not, dogs aim to please & they like structure. The puppy that sits first or lays down, gets fed first. Same as the one who does not whine or cry, gets let out first. As it is, only one of them does this. That is the last one I had adopted. Find a TREAT that your dogs/puppies love & use it. Getting your dogs to sit & wait/stay or to lay down/sit on a mat is one of the most valuable things you can teach your puppies/dogs. BTW, now i do not have to give my puppies a treat before getting their eyes wiped. Well, not for Moses or Amariah. the eldest…BUT I STILL DO GIVE THEM ONE AFTER FOR BEING WELL BEHAVED. The dog food issue. My puppies tried that one on me also. They are becoming selective. aka Picky. And also when they begin to grow in stages, they will also, not eat as much. Their body tells them they are full. And so, I would actually skip the meal. 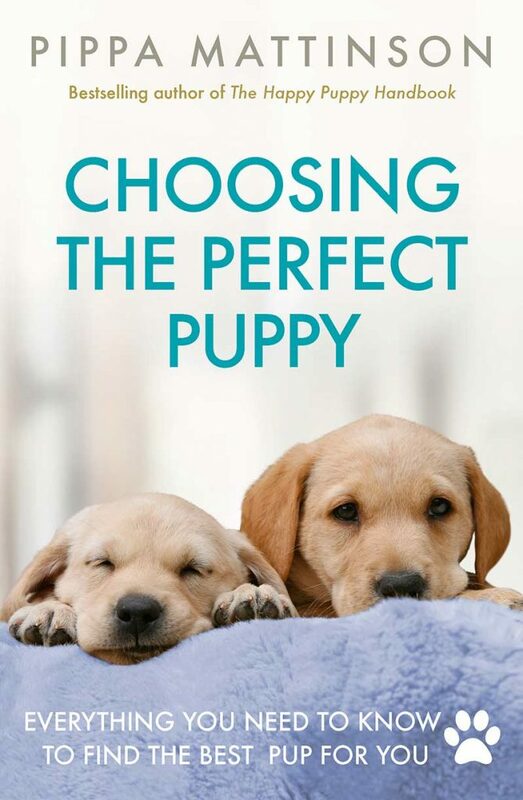 One of my puppies would become picky. Because I also fed them premium wet w/IAMS wet with canned pure pumpkin (to keep stool hard, not soft) w/small amounts of ginger & cinnamon & probiotic, plain yogurt 1/4 tsp per meal… well, some like more wet in their food etc. I read up on it. Found out it was a growth thing combined with picky eating. So I only feed them 3x a day. They say 2x by now, but i have not been able to transition to this, but they still eat only w/in their feeding guidelines for their size & age. I found out that it is best to give them their food & give them 20min to 1/3 hr to eat. Then take the bowl away. This way they cannot pick & choose. They will learn that if they want to eat, they will have to eat what they are served or starve. And they won’t starve themselves. When they are hungry, they will eat. Sometimes, one of my puppies every few to several days, will not eat or eat only 1/3. That is their body saying they are not hungry & are full. They do not need anymore. We as humans have it in us too. However, especially in Western Society, we tend to not listen to our own bodies & overeat. plain & simple. But dogs do not. It is the owner that will overfeed a dog, or feed unhealthy foods to our dogs that cause them to put them in danger of obesity or diabetes etc. Anyways, hope this helps too. It worked for my 4 puppies. They are 6 mos Shepherd Husky mix named Amariah , 5 mos Rotti Masti Shepherd mix named Moses & two 4 1/4 mos Terrier (could be Great Pyrenese or other large breed mix) . . named Sarai & Tiara. Hope this is of help to you as well.